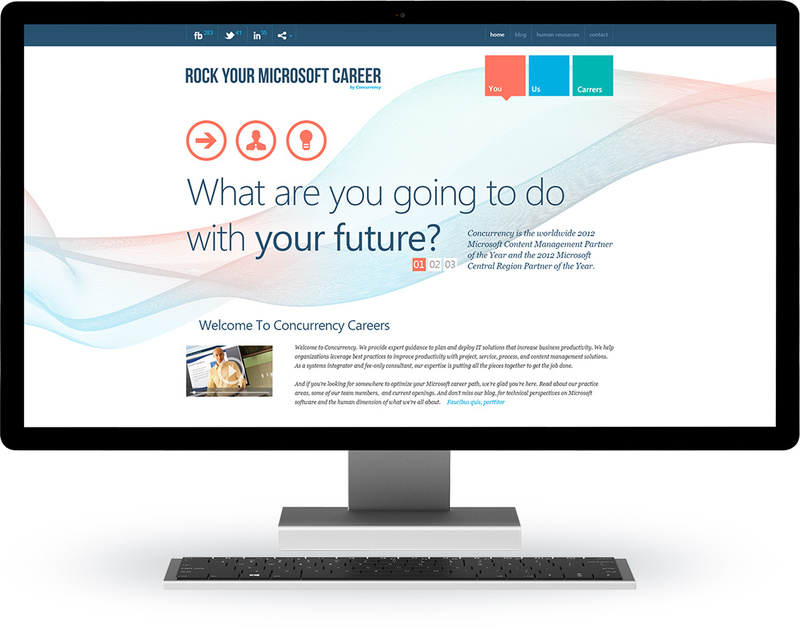 Concurrency’s finest Microsoft expertise and experience is destined to deliver outstanding services and business values. 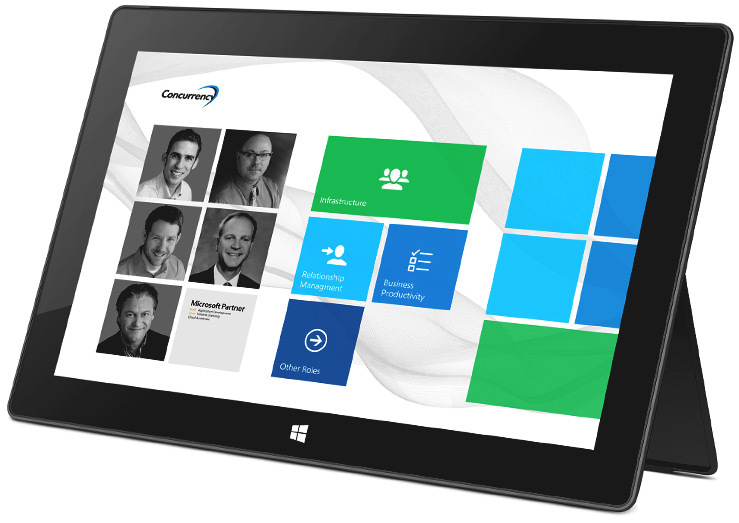 Since its founding in 1989, Concurrency has been proficiently guiding companies in strategizing and utilizing the best productivity-boosting IT solutions. This modern and dynamic systems integrator helps organizations leverage various tools and services to advance their business efficiency, performance and practices. Concurrency constantly expands its outreach and competencies, and it strives to deliver expertise, demonstrate guidance, and conquer challenges. 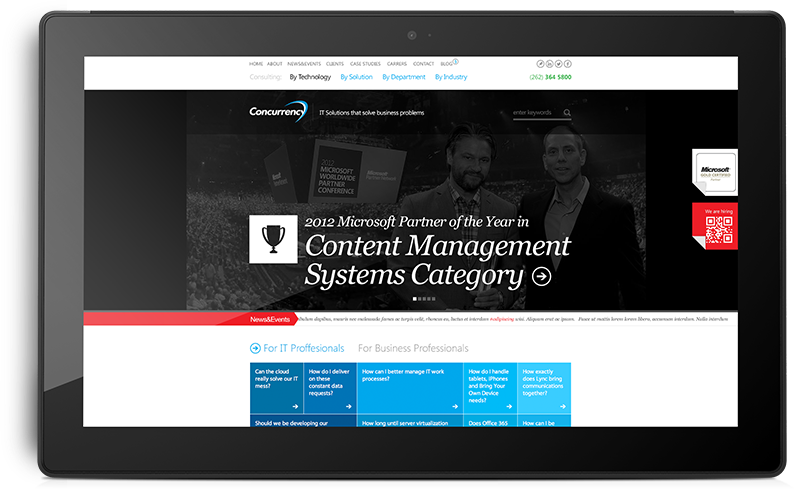 Thanks to its broad knowledge in core Microsoft platforms, Concurrency received multiple Microsoft Partner of the Year awards. This distinction made INCORE, which has been working closely with Concurrency, a proud part of the success. The close collaboration between INCORE and IWW digital agencies helped shine a bright light on Concurrency’s online presence. Our goal was to expand the organization’s exposure and make its power, expertise and success visible on the Internet. We aimed to meet the company’s business needs and enable its growth in the digital world. The company has grown tremendously. Tripling its traffic and now offering services in 10 states. Concurrency is committed to its clients and standards. Its goal is to unify with the customers’ objectives and to deliver strategic corporate value by utilizing innovative business-management methods. With its knowledgeable, but eager-to-learn-more consultants, the company provides expert, trustworthy advice and brings proven, business-boosting methodologies. Concurrency shares its own knowledge and acknowledges people’s power in shaping their own businesses. Thus, it builds their clients’ professional confidence and helps them unlock their inner inventing brilliance. It’s a delight for INCORE to work with a company that shares the same values and visions of delivering excellent services, inspiring people’s actions, and enhancing business relationships. This cooperation is also a door-opening and success-creating opportunity for both companies. IT Professionals and Business Professionals have different business backgrounds. Balancing communication between these groups may be challenging. However, it’s possible. INCORE addressed these two audience types by developing common language that delivers a clear message to all of them, thus merging both groups’ communication. Solution Finder allows visitors to find solutions that Concurrency offers. Users can search by Solution Category, such as Performance Management; Department, for instance Finance & Administration; and Industry, like Financial Services. The search generates a specific number of results, real-life examples, retrieved from Concurrency’s database. INCORE created this tool for the users’ and Concurrency’s advantage. We wanted to empower the clients to find solutions based on their needs. 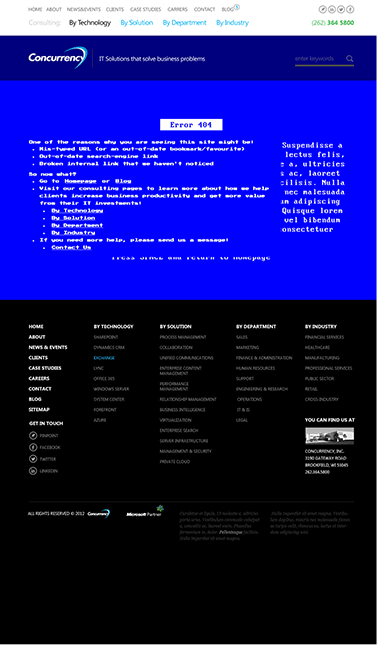 Our goal was to simplify the website’s usability and enhance its functionality. We also aimed to improve Concurrency’s need-identification process, thus enabling the company to provide accurate services for people’s complete benefit. In the midst of its rapid evolution and growing exposure, Concurrency’s goal was to create and expand its outstanding team of professionals. The company wanted to attract, find and keep more of the IT industry’s talented and knowledge-hungry individuals. 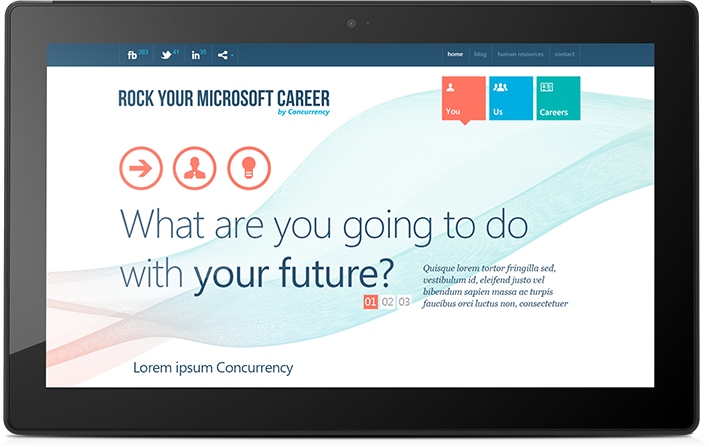 Therefore, Rock Your Microsoft Career by Concurrency was developed. With the RYMC project, INCORE, in collaboration with IWW, helped expand Concurrency’s human resources functioning, outreach and recruiting processes. We created a website to support Concurrency’s efforts in forming its team, aiming to meet the dynamic needs of this fast-growing corporation. Our goal was to depict the company’s hospitable but professional and knowledgeable work environment, one that all individuals can advance in.